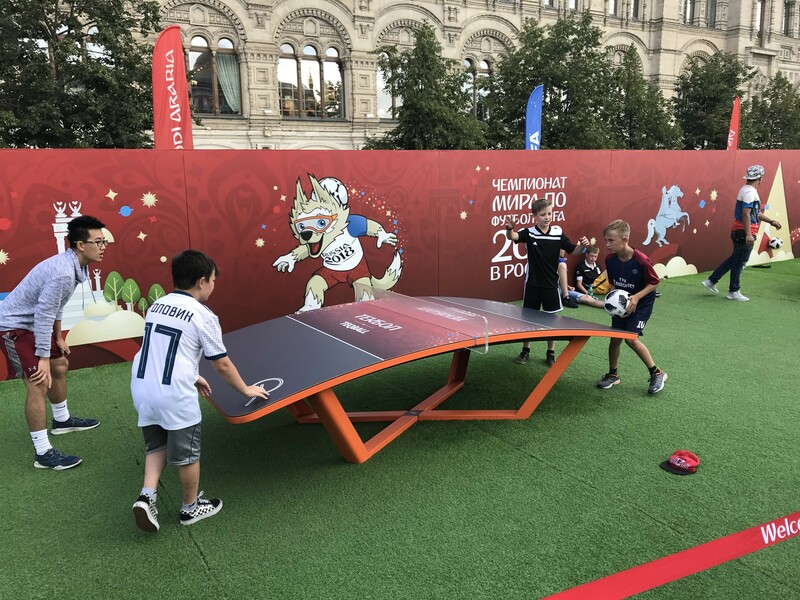 A major hit at the Official Fan Parks across Russia at the 2018 FIFA World Cup, Teqball was certainly put to good use not only by fans, but by teams including Belgium, Brazil and eventual winners of the 2018 FIFA World Cup France! Teqball was also enjoyed by former World Cup stars including England’s Sol Campbell, Iceland’s Eidur Gudjohnson and Denmark’s Peter Schmeichel. Simple to play, Teqball is the cleanest type of football. There is no physical contact between the players and according to the official rules of the sport, it is forbidden to touch the equipment. As a consequence, the risk of injury is very low. It helps you play more confident and develop quicker decision making. It helps you to improve your decisive ‘first touch’ moves and eventually grow you into a more confident, spectacular, and skilled player.